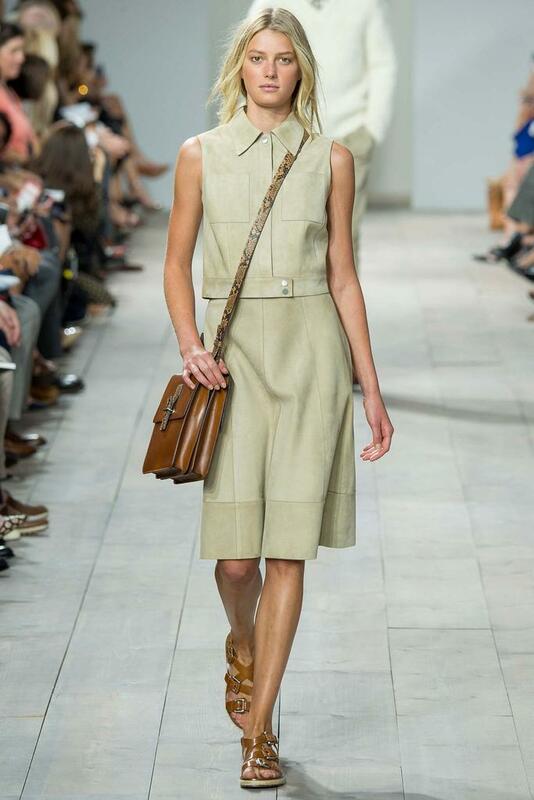 Michael Kors’ Spring 2015 Collection felt like a family reunion with the casting of top models, Maggie Rizer and Liisa Winkler. Rizer was one of the original nineties Kors girls who was an All-American beauty from Watertown, New York, who once sent her high school graduation photographs to modeling agencies. 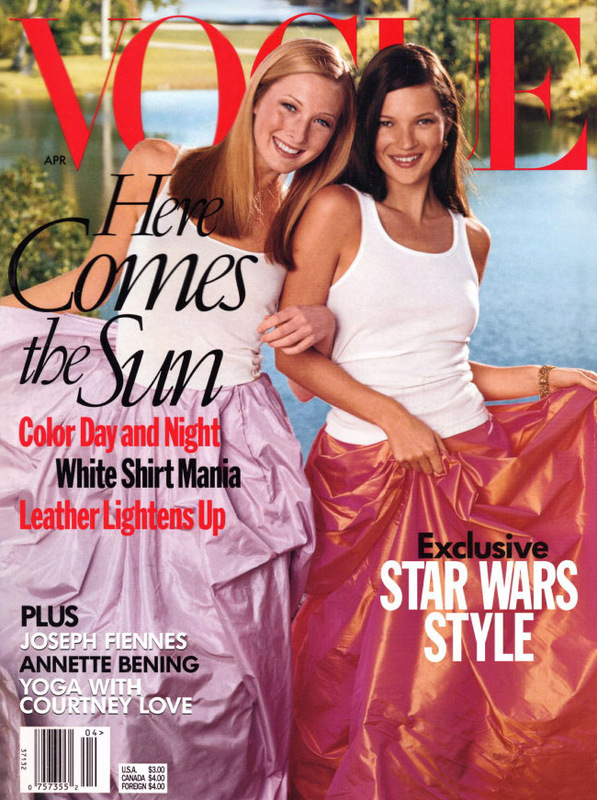 From there her rise to the top of the industry followed with many different magazine covers including one for American Vogue in April 1999, featuring Rizer and Kate Moss as a brunette. Winkler is a Canadian based model. Both models are still working and have in various outlets of the industry. For over 15 years, I have followed the collections and models. Rizer was always one of my favorite models to see on the catwalk. I remember during the Fall 2001 collections in New York, Rizer was followed by The Style Network and cameras followed her to fittings at Oscar de la Renta, Michael Kors and walking all of the top shows. I remember Kors goshing over Rizer. In my opinion, Rizer is one of the ultimate Michael Kors girls. No wonder she opened the show this season for him. It’s special when models make comebacks. The Spring 2015 Collection started with the cleanest white lace and eyelet dress worn on Rizer and ended with a beautiful structured black gown on current Kors print girl, Karmen Pedaru. There was a strong presence of color in this collection. There was a lot of navy, white, black, and shots of yellow and khaki. 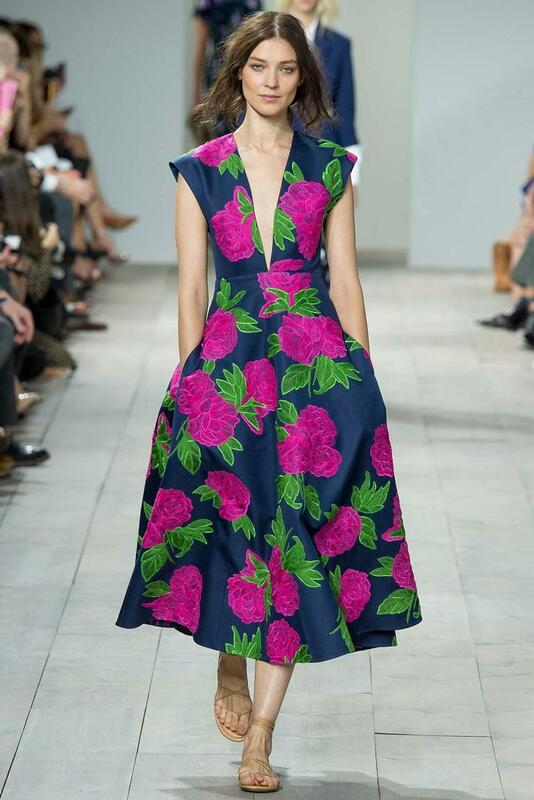 Floral details were embroidered on skirts and dresses. There were a lot of gingham prints and stripes. 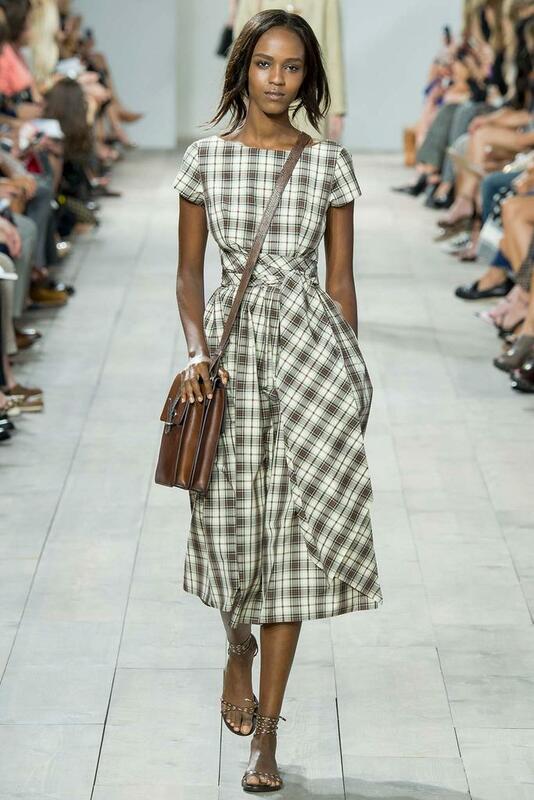 The gingham was seen bold and sharp on some looks. 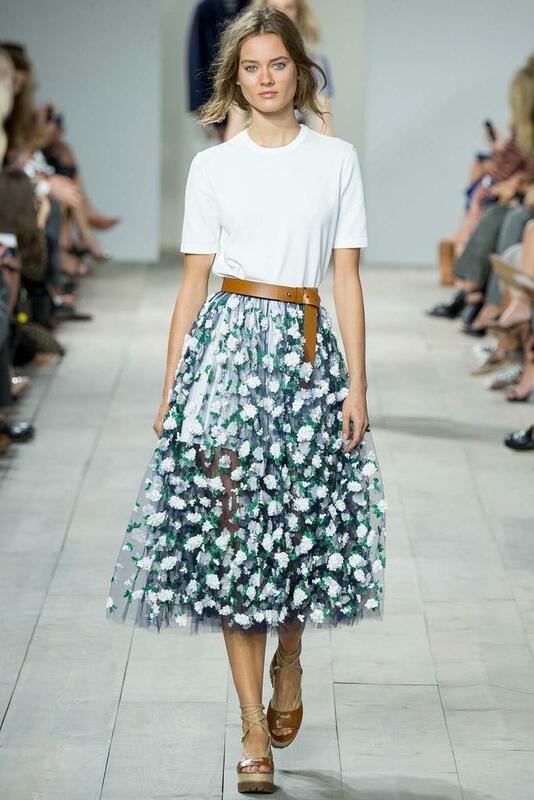 Other gingham prints were seen on sheer skirts with embroidered flowers over top. 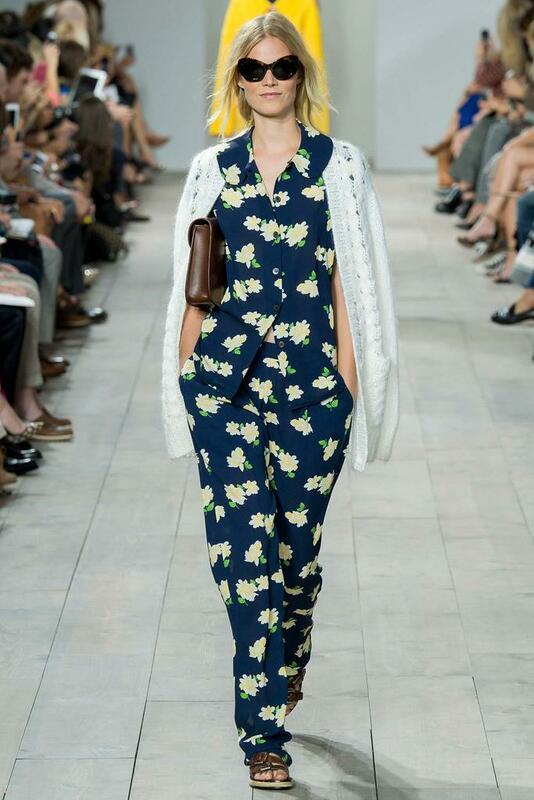 One of my favorite gingham looks was on model Sasha Luss. She was wearing a green gingham halter dress with camel floral belts and matching sandals. 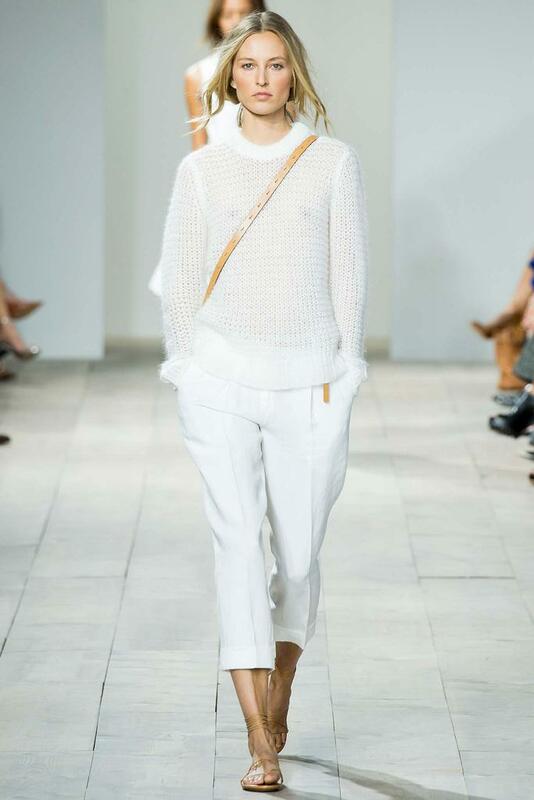 Finally, the Kors staple cashmere sweaters were seen in calmer hues of cream and paired with jeans on one of the men’s looks and many women’s looks. Denim was also seen in suits and jackets. 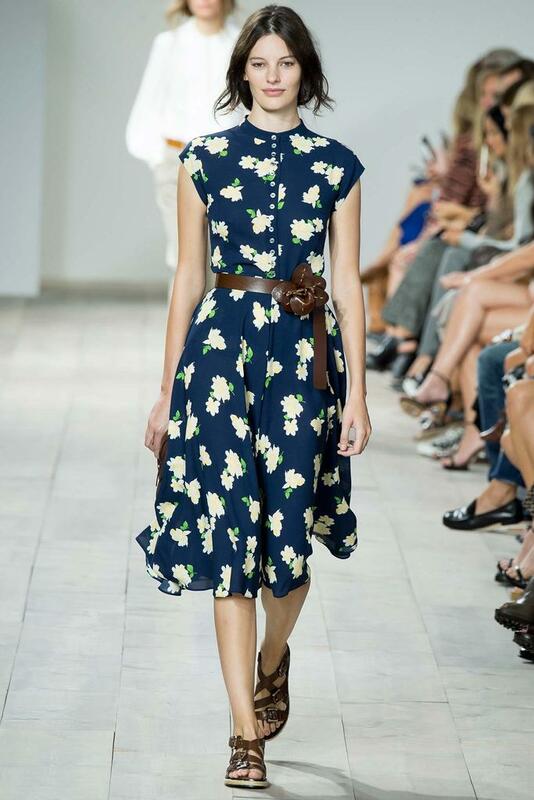 The leather belt and sandal accessories were fabulous, and so Kors. His belts look just as fresh as when I saw them on the runway almost 15 years ago. 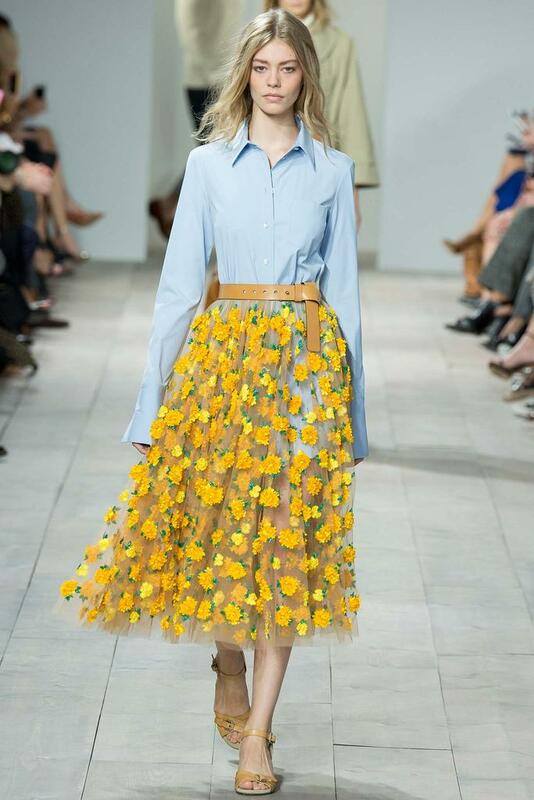 A belt worn at the right part of the waist can do wonders for your look! Kors created some of the most beautiful two-piece bathing suits paired with matching blazers. There were also wonderful beach friendly tunics and dresses that could easily take you from lounging at the beach all day to your evening activities. There were also beautiful two-piece crop top and matching A-line skirts outfits. 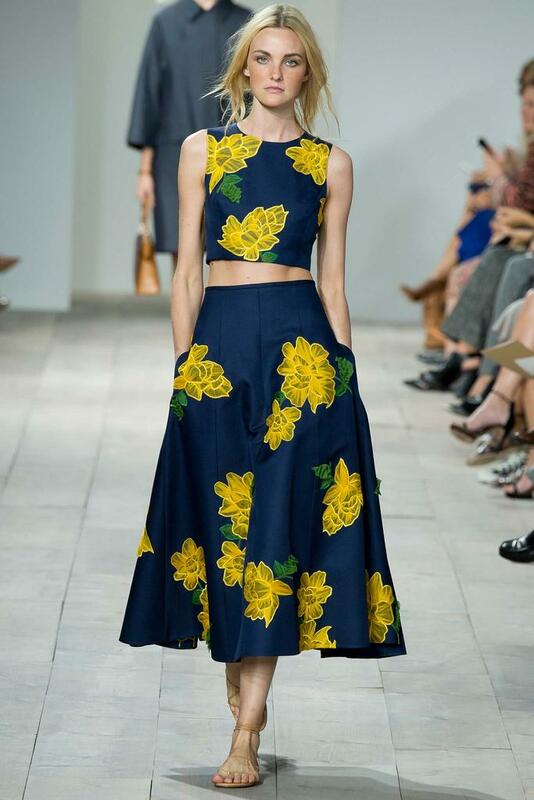 One of my favorite was in a deep navy blue with bright yellow flowers worn on model Caroline Trentini, whose also had a bit of a model comeback after taking time off, getting married and having her first child. The print looked like they were painted on. 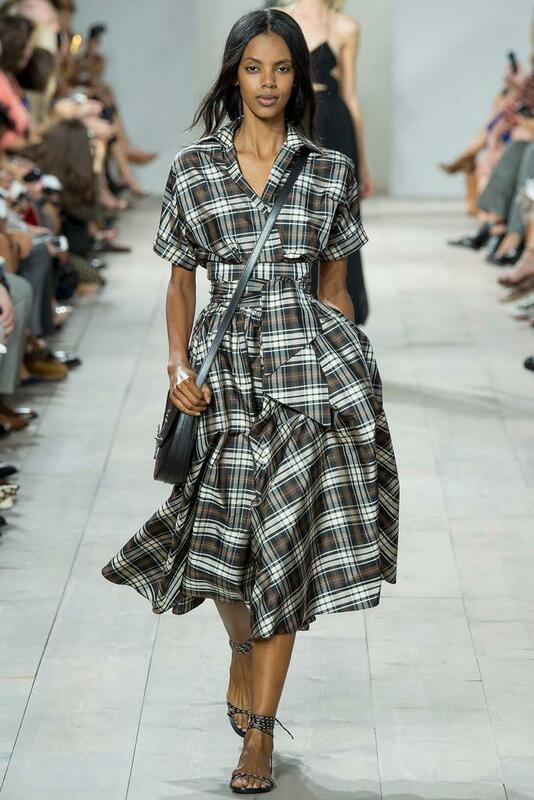 The Kors crop top was done so elegantly and continued on this trend that offers a little bit of mid-drift without taking it too far. 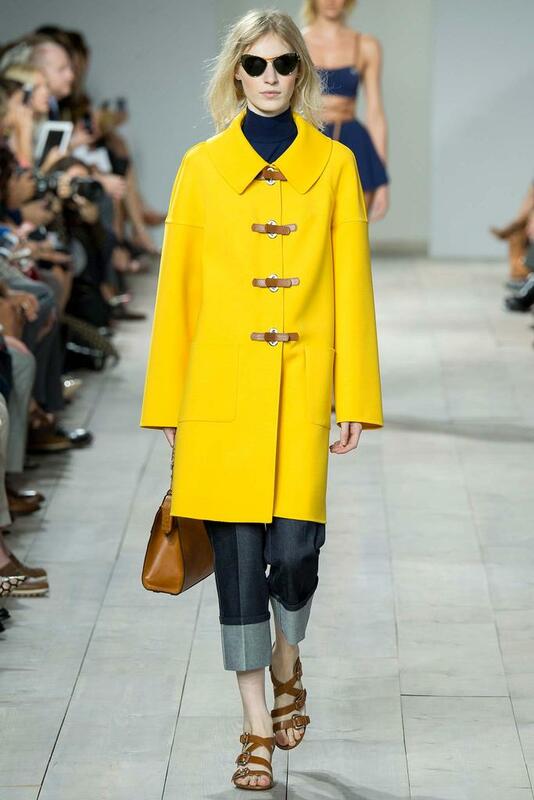 Kors’ collection overall delivered wearable fashion that consumers are going to love to wear next year. His presence in the fashion industry is one that continued to transforms the way American fashion looks. He is a designer that I will continue to support because he brings so much optimism during all economics climates. What’s even better is that his empire has expanded so much you stop by your local mall and find a Michael Kors store! Until next time, I am Gavo Capote.